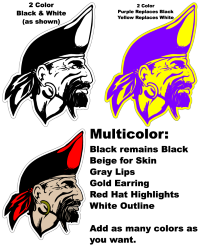 These Mascot decals are available in any length and are measured LEFT TO RIGHT. The white is just a background color. 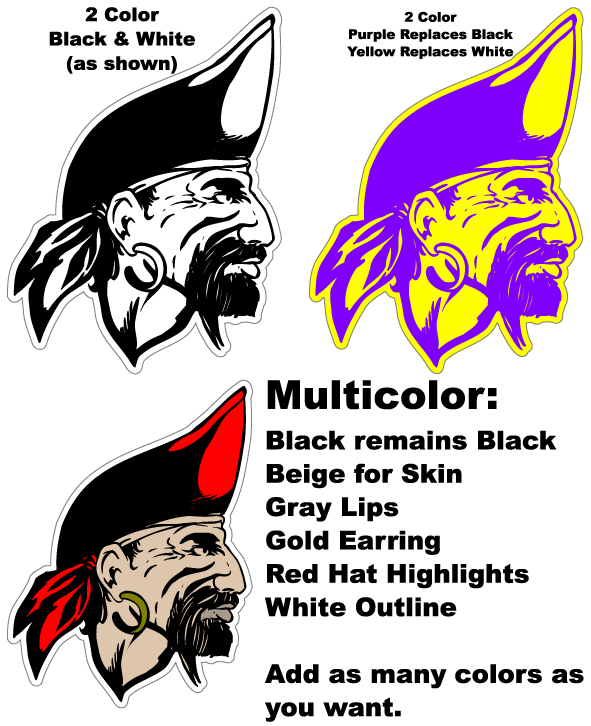 Your Mascot decal will not have a background; all Decals are die-cut. See the color chart for details on colors. Don't see your mascot?....we have 1000's of designs not listed so just let us know what you are looking for via email. View all the mascots we have available: Volume 1 and Volume 2. Just let us know if you see one you like and we will set it up for you in any colors you want.